In an era when everyone agrees that content is king, it’s puzzling that many organizations don’t invest in a professional editor or writer to create it. Everyone in marketing can open a Word doc and throw a few sentences together. Some might even excel at peppering those sentences with SEO keywords, drafting compelling copy and crafting artful metaphors. But a trained editor brings important skills to a content-marketing plan that go beyond just the words to establish trust with the audience and drive results. I’m fond of saying that every editor or writer (terms I’ll use interchangeably) should be a little bit hysterical. A writer with a touch of “the sky is always falling” is the one you want to get with — that person’s assumption that everything they read is likely wrong and that they’re the only one who cares enough to fix it is your best defense in preventing last-minute scrambles that can lead to costly errors. Find yourself a neurotic editor, and let them know you value their neuroses. This naturally nervous human should annoy coworkers with their rigidity when it comes to making ample time for editorial protocol (fact check, spell check, click every link, run it by another pair of eyes — and repeat). They should terrify you with soliloquies on the difference between “premier” and “premiere” or “palate” and “palette.” And they should cackle maniacally when they see misplaced modifiers. The editor with red-hot attention to detail insists on making sure all the facts are straight, the right message has been conveyed and quality-control processes have been followed is one that will produce content clients and readers alike believe in. A reader who spots a typo, sees a destination spelled two different ways in the same article or clicks a bad link is likely to assume not much effort was put into providing sound information and recommendations. When that content is informing travel decisions, for which much time and money are invested, they’ll likely stray to what they think is a more dependable source. 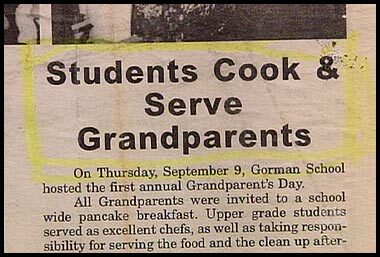 There will always be times when an editor misses something. But you’ve got a quality one if they take those mistakes really hard — most can quickly recount their most tragic errors and the fallout that ensued (costly reprints, the purchasing of slightly off domain names, time in the town square’s stockade, etc.). So find yourself a neurotic editor, let them know that you value their neuroses and freely give them time to indulge them. King Content will thank you.